Easy reading story was cute. Main characters were likeable. I originally started in the middle of this series and just had to go back and read Cassie and Troy’s story. 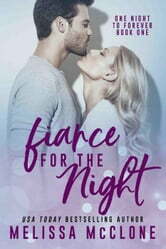 So glad I did because this story was engaging, romantic and a fun read. Cassie is the rich girl who doesn’t want to be rich and conform to her families wishes. Troy is working towards his dream of becoming big in the finance world. Enemies turned lovers, my favorite kind of romance!